The Technician license is the entry level license for getting started in HAM radio. The Amateur Radio Club of Utah Valley often presents one day courses followed by a test to obtain your Technician class license. The next class is Saturday September 19th, 2009 on the BYU campus. Seating is very limited so if you are interested please read on to find out how to sign up. Room 276 in the Howard W. Hunter Law library in the J Reuben Clarke law building (JRCB) on BYU campus. If you get lost ask someone on campus. We start before the library opens so be on time so you can be let in. Park in the lot immediately east of the law building. Don’t park in the restricted areas like Dean’s spot, delivery etc….Enter through the right set of the east facing doors just left of the service entrance and go halfway down the hall and turn right. You are now facing 3 doors with the elevator on your left. go through the door on the right that has the large round sign “caution automatic door”. Go through the detectors by the main entrance and past the circulation desk. Room 276 has a green blinking light right next to the door to your left about 100 feet in. I have an interior map I will send if you want. Click on “Campus Map” in the lower left. It is building #19 on the map; the J. Reuben Clark building JRCB. Another map is here: Map It is building #20 in this map. From 7:30am to noon is classroom instruction and then a break for lunch between noon and 1pm. Bring a lunch or you can buy lunch at several places close by on and off campus. Between 1pm and 5pm is self study using a computer program. When you are ready, in the afternoon, you may take the exam. You don’t have to take the test that day if you are not ready and would like to study more. There are only a handful of computers available for self-study in the afternoon. Every student who can needs to bring a laptop that runs MikeRowesoft Windows. Borrow a laptop if you don’t have one. Bring an extra laptop if you don’t mind loaning it. The room we will be using has power at every seat for a laptop. I also have a CD for Linux and Mactel (The newer Mac that has an Intel microprocessor) laptops if you can boot off the CD drive. If you have access to a laptop but don’t want to install the program I have a disk that will allow you to run the program without installing it (this is great if the laptop is not yours or if it was borrowed from work). There is no charge to take the class but the cost of taking the test is $14.00. You also need to bring two forms of ID, one preferably with a picture. The electronic form you will fill out requires your Social Security number (thanks to congress….). We do not put your SSN on any forms we keep or send in. The most common mistake is forgetting ID and a Social Security number for those under 18…… Don’t forget!! No programmable calculators…..The test is given on computer and graded immediately. Specific instructions how to run the program will be given. It is similar to practice exams available on the Internet. E-mail nv7v*AT*ucares.org (preferred) or call Steve or Susan N7QZU (801-465-3983) to let me know if you are coming and bringing a laptop (please bring one… beg, beg….bring extra laptops if you can). Also let me know if you are bringing a Mac with an Intel processor as it requires a different disk. –2 FORMS OF ID and a Social Security Number– !! Oh… and just in case I forgot…… don’t forget to bring two forms of ID, one preferably with a picture. These qualify as ID: SSN card, driver’s license, CCW permit, library card and just about any document issued by a government entity. Credit cards are not ID. I wish I lived in Utah! GRS/GMRS/CB – Using the channel of the hour (ie. if its 3:10pm, use channel 3) attempt to connect up on the radio at :10 after each hour, on the channel of the hour on the 24 hour clock. This would enable like minded “local” preppers to connect up who might otherwise not know of eachother. 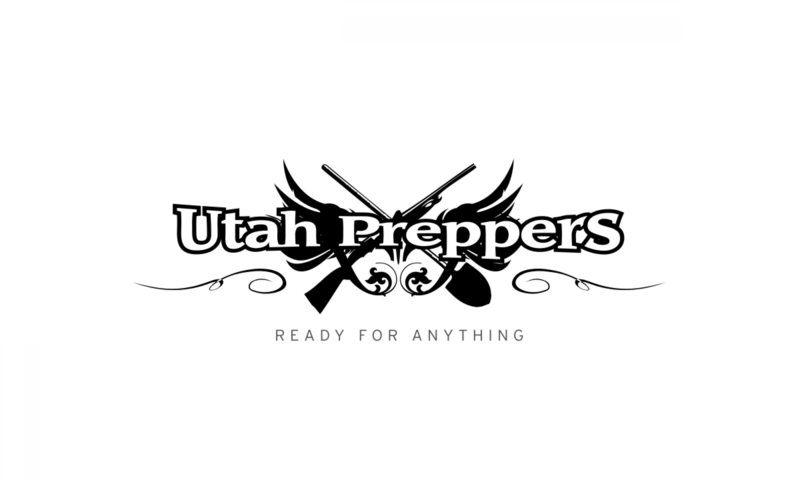 Also for traveling folks, this gives them the ability to link up with local preppers.